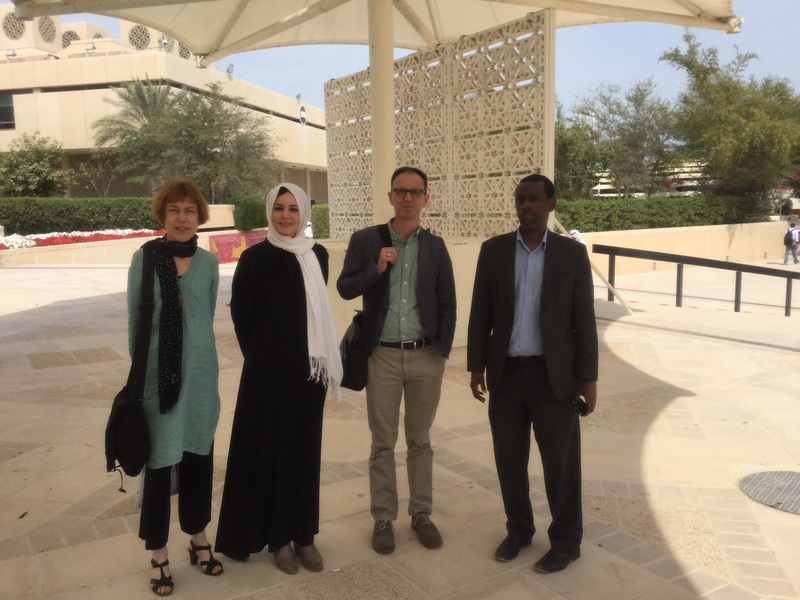 A delegation of the ‘Africa in the World’ research group of the African Studies Centre in Leiden visited Qatar recently, and had discussions with people in various universities, Qatar Foundation, Al Jazeera Center for Studies, The Netherlands Embassy and a number of Qatar charities. Qatar is one of the ‘South-South hubs’ of today and an interesting one if one wants to understand the possibilities for Africans to ‘negotiate’ the new global, polycentric world. Qatar is full of surprises. The population living there consists of 2.3 million people, but only 12% of them are having a Qatari passport. There are more Indians and more Nepali in Qatar than there are Qataris. What’s more: there are more Africans in Qatar than there are Qataris (the majority of the Africans being Egyptians and Sudanese, but there are also many people from Ethiopia, Tunisia, Eritrea, Morocco and Kenya). We were told that it is virtually impossible for foreigners to get a Qatari passport, unless you are a sportsman, as Qatar would like to impress the world with ‘its’ sports accomplishments. 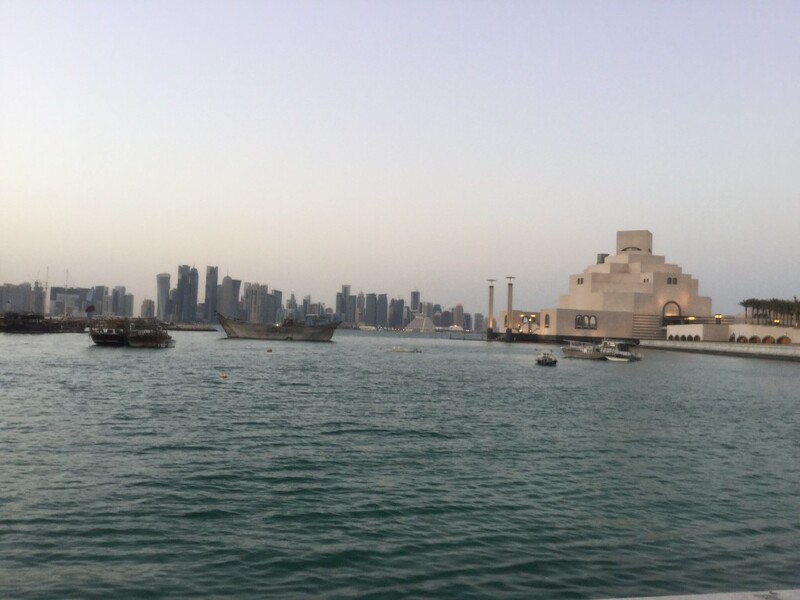 The atmosphere in capital city Doha is very cosmopolitan, with an explosion of colourful architectural highlights forming the skyline. In the ‘old’ market one can see niqabs alongside Western dresses for women, and suits and hoodies next to the white robes and white-and-red head dresses for men. One gets the impression of ‘everything goes’ and an open, tolerant and very safe public space. At the same time, Qatar wants to be a major player in the Islamic world (and partly in competition with other Gulf states) and is known to support various Islamic groups, including some Islamist groups. The Taliban has an office in Doha. There is major support for Hamas. And there are connections with groups that pledge allegiance to the ideas of Islamic State. The State of Qatar started its own Department of International Aid in 2007 and spent more than 1.7 billion (US) dollars on ‘development assistance’ in 2013 alone, of which one third was given to Africa. Total aid money would be 740 dollar per person living in Qatar, or, if we only count people with a Qatari passport: more than 6,000 dollar per person. In addition, most non-Qataris send a lot of remittances back home, and Qatari charities are known all over Africa (and elsewhere) for their generosity. 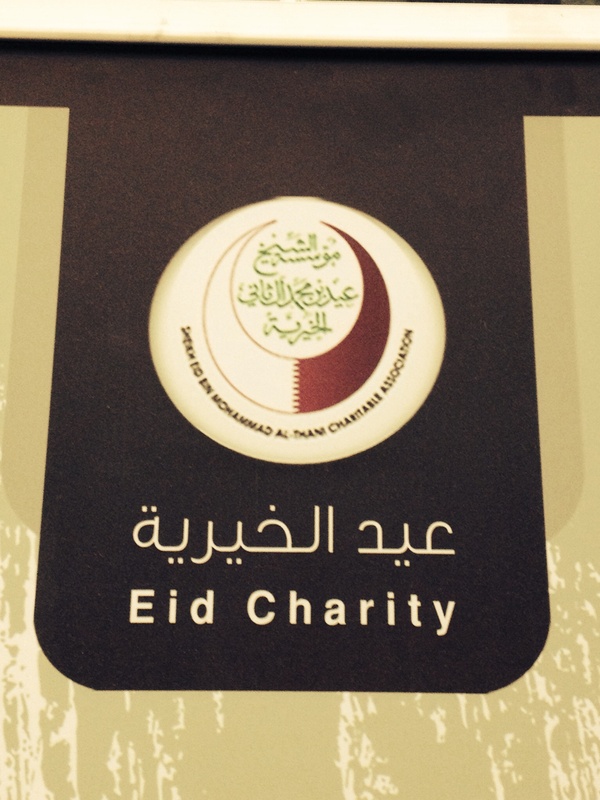 One can see the donation boxes of the various charities in central places in Doha. Why would a small country on a peninsula in the Gulf do this? 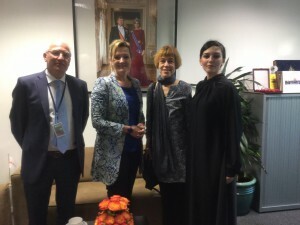 We were told that the former Qatari Emir, Hamad bin Khalifa Al Thani, and the ruling family realised how vulnerable their family business had become after Saddam Hussein invaded Kuwait in 1990. Saudi Arabia could do the same with them; a reason to do so could always be found. So Qatar needed friends elsewhere, and it needed trumpets to tell the world: here we are! Some people told us that that was the main reason why (in 1996) the Emir decided to fund the Al Jazeera news network, which put Qatar on the world map of journalism. Others told us that it is much more complicated than that. Later, the Qatari elite decided to attract lots of foreign researchers (the Qatar Foundation is rich! ); to fund numerous sports and cultural highlights; and to build a city full of special features. They can pay for it. In 2013, Qatar exported for 137 billion dollars’ worth of products (mainly gas and chemical products) and it only imported for 27 billion dollars. That truly means a huge balance of payment surplus. Japan, Korea and India are its major customers; the USA and China the major providers of goods and services. Although Qatar used to be a British colony, Europe’s role in imports and exports has become quite limited. At the same time, trade with Africa is very small (although growing): only about 1%. In 2013, Qatar’s major African trade partners were South Africa and Kenya for its exports, and Egypt and (again) South Africa as providers of some of its imports. This article was previously published on Prof. Ton Dietz’ blog. Prof. Ton Dietz has been Director of the African Studies Centre in Leiden since 1 May 2010. He is also Professor of the Study of African Development at Leiden University and Professor in Human Geography at the University of Amsterdam. To mention a few keywords that apply to his work as a researcher: human geography, political geography of Africa, poverty analysis, rural development, food security and agrohubs, land and water conflict, development aid, Africa and the multi-polar world, geopolitics. For more information, read his profile on the ASC website!